OIL traders are paying unusual attention to Kharg, a small island 25km (16 miles) off the coast of Iran. On its lee side, identifiable to orbiting satellites by the transponders on their decks, are half a dozen or so huge oil tankers that have been anchored there for months. Farther down Iran’s Persian Gulf coast is another flotilla of similarly vast vessels. They contain up to 50m barrels of Iranian crude—just what a world awash with oil could do without. The lifting of nuclear-related sanctions against Iran on January 16th puts those barrels at the forefront of the country’s quest to recapture a share of international oil markets that it has been shut out of for much of the past decade. The prospect of Iran swiftly dispatching its supertankers to European and Asian refineries to undercut supplies from Saudi Arabia, Iraq and Russia helped push the world’s main benchmarks, Brent and West Texas Intermediate (WTI), to their lowest levels since 2003 on January 20th; WTI tumbled by 6.7% to under $27 a barrel, its biggest one-day fall since September (see chart 1). The slide marks the latest act in a dramatic reversal of fortunes for the oil industry that is, in turn, roiling the global economy. Less than a decade ago the world scrambled for oil, largely to fuel China’s commodity-hungry growth spurt, pushing prices to over $140 a barrel in 2008. State-owned oil giants such as Saudi Aramco had access to the cheapest reserves, forcing private oil firms to search farther afield—in the Arctic, Brazil’s pre-salt fields and deep waters off Angola—for resources deemed ever scarcer. Investors, concerned that the oil majors could run out of growth opportunities, encouraged the search for pricey oil, rewarding potential future growth in production as much as profitability. Now the fear for producers is of an excess of oil, rather than a shortage. The addition to global supply over the past five years of 4.2m barrels a day (b/d) from America’s shale producers, although only 5% of global production, has had an outsized impact on the market by raising the prospects of recovering vast amounts of resources formerly considered too hard to extract. Last year the world produced 96.3m b/d of oil, of which it consumed only 94.5m b/d. So each day about 1.8m barrels went into storage tanks—which are filling up fast. Though new storage is being built, too much oil would cause the tanks to overflow. The only place to put the spare barrels would be in tankers out to sea, like the Iranian oil sitting off Kharg, waiting for demand to recover. For oil producers that is an alarming prospect, yet for the most part warnings such as those of the IEA have gone unheeded. This poses two puzzles. When, in November 2014, Saudi Arabia forced OPEC to keep the taps open despite plummeting prices, it hoped quickly to drive higher-cost producers in America and elsewhere out of business. Analysts expected a snappy rebound in prices. Though oil firms have since collectively suspended investment in $380 billion of new projects, as yet there is no sign of a bottom. Projections for a meaningful recovery in the oil price have been pushed back until at least 2017. The economic impact of the oversupply is another enigma. Cheaper fuel should stimulate global economic growth. Industries that use oil as an input are more profitable. The benefits to consuming nations typically outweigh the costs to producing ones. 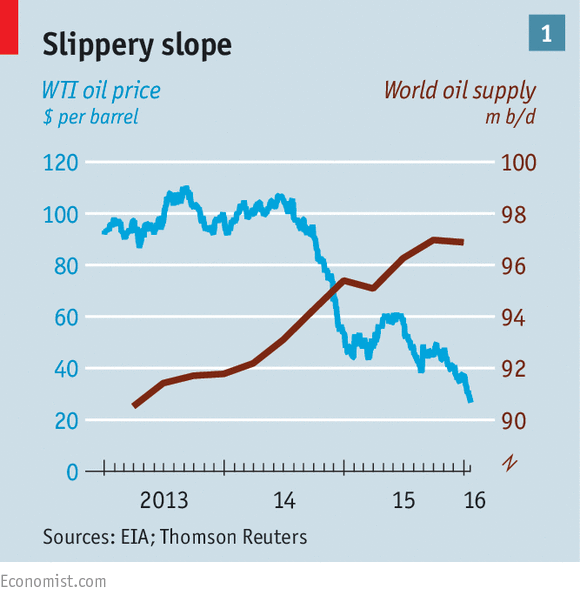 But so far in 2016 a 28% lurch downwards in oil prices has coincided with turmoil in global stockmarkets. It is as if the markets are challenging long-held assumptions about the economic benefits of low energy prices, or asserting that global economic growth is so anaemic that an oil glut will do little to help. Iran is the most immediate cause of the bearishness. It promises an immediate boost to production of 500,000 b/d, just when other members of OPEC such as Saudi Arabia and Iraq are pumping at record levels. Even if its target is over-optimistic, seething rivalry between the rulers in Tehran and Riyadh make it hard to imagine that the three producers could agree to the sort of production discipline that OPEC has used to attempt to rescue prices in the past. Even if OPEC tried to reassert its influence, the producers’ cartel would probably fail because the oil industry has changed in several ways. Shale-oil producers, using technology that is both cheaper and quicker to deploy than conventional oil rigs, have made the industry more entrepreneurial. Big depreciations against the dollar have helped beleaguered economies such as Russia, Brazil and Venezuela to maintain output, by increasing local-currency revenues relative to costs. And growing fears about action on climate change, coupled with the emergence of alternative-energy technologies, suggests to some producers that it is best to pump as hard as they can, while they can. This is not the first time OPEC has overestimated the effectiveness of what, during the era of John Rockefeller’s Standard Oil, used to be called “a good sweating”: attempting to flood the market with cut-price oil to drive competitors out of business. In the mid-1980s the cartel sought to use low prices to undercut producers in the North Sea, but failed. They enacted a policy to recoup market share from their non-OPEC rivals, but ended up trying to defeat each other, further weakening prices. It took several years for oil prices to recover. Yet there is also a reason for keeping the pumps working that is not as suicidal as it sounds. One of the remarkable features of last year’s oil market was the resilience of American shale producers in the face of falling prices. Since mid-2015 shale firms have cut more than 400,000 b/d from output in response to lower prices. Nevertheless, America still increased oil production more than any other country in the year as a whole, producing an additional 900,000 b/d, according to the IEA. During the year the number of drilling rigs used in America fell by over 60%. Normally that would be considered a strong indicator of lower output. Yet it is one thing to drill wells, another to conduct the hydraulic fracturing (“fracking”) that gets the shale oil flowing out. Rystad Energy, a Norwegian consultancy, noted late last year that the “frack-count”, ie, the number of wells fracked, was still rising, explaining the resilience of oil production. The roughnecks used other innovations to keep the oil gushing, such as injecting more sand into their wells to improve flow, using better data-gathering techniques and employing a skeleton staff to keep costs down. The money is no longer flowing in. America’s once-rowdy oil towns, where three years ago strippers could make hundreds of dollars a night from itinerant oilmen, are now full of abandoned trailer parks and boarded-up businesses. But the oil is still flowing out. Even some of the oldest shale fields, such as the Bakken in North Dakota, were still producing at the same level in November as more than a year before. The shale industry also benefited from financial engineering. Last year at least half of the firms involved had hedged the oil price to protect revenues. Some went bankrupt, but most have managed to sweet-talk bankers into keeping the credit flowing—at least until the latest crisis. It is not just the shale industry that managed to keep its head above water longer than expected. Those extracting in more expensive places, such as Canada’s oil sands and Brazilian pre-salt, have too. Canada, whose low-quality benchmark oil, West Canada Select, is trading below $15 a barrel, giving it the ignominious title of the world’s lowest-value crude, is one of the non-OPEC countries expected to add most to global supply this year. So is Brazil, despite debt and corruption at its state oil company, Petrobras. Meanwhile, the oil majors have said they will slash tens of thousands of jobs and billions of dollars in investment, but they too are reluctant to abandon projects that may add to future production. Shell, an Anglo-Dutch company, took the rare decision to abandon exploration in the Arctic and a heavy-oil project in Canada but its current output of 2.9m b/d in 2015 was only just shy of the previous year’s 3.1m b/d. In the industry at large, the incentive is to keep producing “as flat out as you can”, once investment costs have been sunk into the ground, says Simon Henry, Shell’s chief financial officer. He says it is sometimes more expensive to stop production than to keep pumping at low prices, because of the high cost of mothballing wells. Simon Flowers of Wood Mackenzie, an industry consultancy, says that even at $30 a barrel, only 6% of global production fails to cover its operating costs. It may be uneconomic to drill new deepwater wells at prices under $60 a barrel, he says, but once they are built it may still make economic sense to keep them running at prices well below that (see chart 2). Such resilience is used by some to justify why they expect prices to remain “lower for longer”. In theory a long period of low oil prices should benefit the global economy. The world is both a producer and a consumer: what producers lose and consumers gain from a drop in prices sums to zero. Conventionally, extra spending by oil importers exceeds cuts in spending by exporters, boosting global aggregate demand. The economies that have enjoyed the strongest GDP growth in the past year have indeed been oil importers: India, Pakistan and countries in east Africa. It is hard to explain the consumer-led recovery in the euro area without assuming a positive impact from lower oil prices. In the IMF’s latest forecast, published on January 19th, the handful of big economies that were spared downgrades to GDP growth—China, India, Germany, Britain, Spain and Italy—were all net oil importers. There are doubts that this holds true everywhere. America is both a large producer and consumer of oil. At the start of 2015, JPMorgan, a bank, reckoned that cheap oil would boost GDP by around 0.7%—a boost to consumers’ purchasing power equivalent to 1% of GDP, offset by a smaller drag from weaker oil-industry investment. It now reckons the outcome was between a contraction of 0.3% and a boost of a measly 0.1%. Consumers may have saved more of the windfall than had seemed likely and the share of oil-related capital spending in total business investment in America, which had steadily risen for years, has fallen by half (see chart 3). 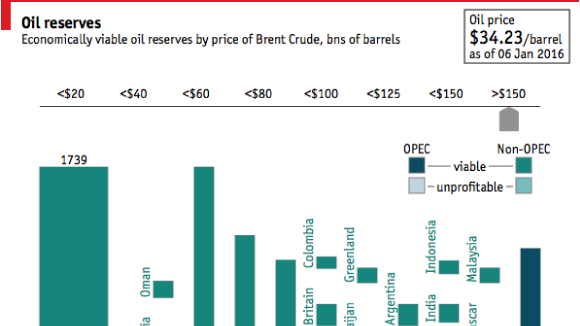 Unsurprisingly some of the biggest splashes of red ink in the IMF’s latest forecast revisions were reserved for countries where oil exploration and production has played a significant role in the economy: Brazil, Saudi Arabia, Russia (and some of its oil-producing neighbours) and Nigeria. Weaker demand in this group owes much to strains on their public finances. Russia has said it will cut public spending by a further 10% in response to the latest drop in crude prices. The oil industry accounts for 70% of tax revenue in Nigeria. When the oil price plunged in 2008-09, it was able to draw on savings it had salted away in an oil-stabilisation fund. But in June the country’s president, Muhammadu Buhari, said the treasury was “virtually empty”. Saudi Arabia has deeper pockets but, with a budget deficit that reached 15% of GDP last year, even it has been forced to cut public spending. The old calculus that such countries were able to smooth spending through the oil-price cycle has become less reliable. To a larger degree than in the past, oil producers have spent windfall revenues, and now have been forced to cut back. This compounds the effect on aggregate demand of falling investment in the oil industry. 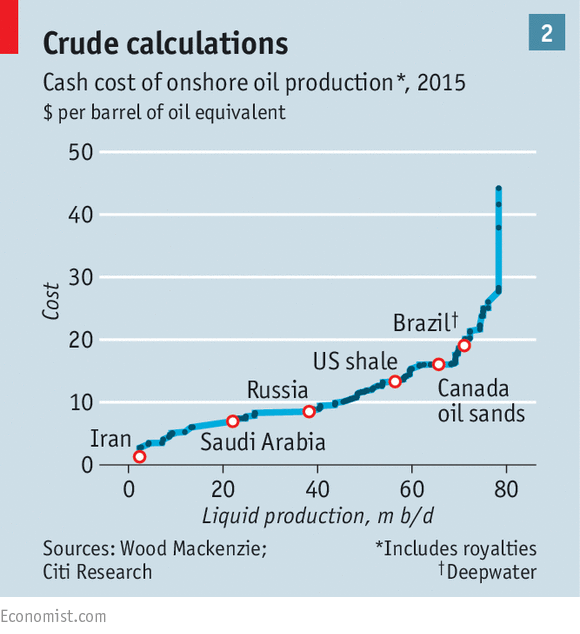 Perhaps more worrying is the way the oil-price drop is compounding the effect of financial fragility worldwide. Low interest rates in America and Europe after 2009 drew rich-world investors into emerging markets, creating a lending boom. Corporate debt in emerging markets rose from 50% of GDP in 2008 to 75% in 2014. The lesson of recent history is that a rapid build-up in debt leads to trouble. Along with construction, the oil and gas industry saw a big increase in corporate debt, according to the IMF’s latest Global Financial Stability Report. Lower oil revenues make it harder to service this burden. When the oil price slumped in 2008-09 oil-producing countries were able to cut interest rates and borrow abroad to prop up demand. Now investors are charier of risk. The end of the Federal Reserve’s programme of bond buying (“quantitative easing”) in 2014 and the recent increase in interest rates has drawn money back to America, boosting the dollar and tightening global monetary conditions. Oil producers, notably in Latin America, are having to tighten domestic monetary policy to tackle inflation, in part caused by big falls in their currencies. Brazil’s central bank has kept interest rates high, even though its economy is deep in recession. Central banks in Colombia and Mexico raised rates in December. The same strains are evident in oil-rich Nigeria and Angola, the largest and third-largest economies in sub-Saharan Africa. The easier financial conditions in the years after 2009 gave policymakers in Africa a false sense of their own resilience, says Stuart Culverhouse of Exotix, a broker. Investors appear to be rethinking how risky assets should be priced in rich countries, too. This is as much a response to concerns about the strength of China’s economy as to the damage a sharp fall in oil prices might wreak. Worries about delinquent borrowers in the oil industry triggered a sharp rise in their yields in America’s junk-bond market at the end of last year. The yields on junk bonds issued by other sorts of borrowers rose in apparent sympathy. Even yields on investment-grade bonds are edging up. Stockmarket bears are quick to point out that higher real interest rates on corporate bonds make it harder to justify elevated share prices. Central bankers in rich countries say they worry that a long period of near-zero inflation is entrenching beliefs that prices will remain endlessly flat. The real rate of interest rises when expectations of inflation fall and it is hard for policymakers to respond to this as rates are already close to zero. Since the start of the year, the supply shock from Iran has also been accompanied by fears of a demand one from China. The bungled handling of China’s stockmarket and currency has raised fears about the economy, which has spilled over into the oil market. As global financial markets have descended into turmoil, there are mounting worries about the resilience of the global economy, too. That, in turn, raises anxiety about future oil demand. Macroeconomic concerns are paramount, but there are also microeconomic ones. Lower fuel subsidies in some oil-producing countries, aimed at plugging budget deficits, are encouraging car owners to drive less miles. China has said that it will not allow petrol prices to fall in line with oil below $40 a barrel, which will have the same effect. Even in the United States, the link between cheap petrol and gas-guzzling is less strong than it was. Part of the reason, analysts say, is that vehicles are more fuel-efficient. After the Paris summit on climate change in December some pundits reckon that the latest oil crisis reflects a structural change in oil consumption because of environmental concerns—what some call “peak demand”. It is true that as climate consciousness grows, oil companies are developing more gas than oil, hoping to deploy it as an energy substitute for coal. But it may be too early to assume that the era of the petrol engine is coming to an end. More likely, the oil price will eventually find a bottom and, if this cycle is like previous ones, shoot sharply higher because of the level of underinvestment in reserves and natural depletion of existing wells. Yet the consequences will be different. Antoine Halff of Columbia University’s Centre on Global Energy Policy told American senators on January 19th that the shale-oil industry, with its unique cost structure and short business cycle, may undermine longer-term investment in high-cost traditional oilfields. The shalemen, rather than the Saudis, could well become the world’s swing producers, adding to volatility, perhaps, but within a relatively narrow range. Big oil firms would then face some existential questions. In the future, should they carry on as before, splurging on expensive vanity projects in hard-to-reach places, at the risk of having “unburnable” reserves as environmental concerns mount? 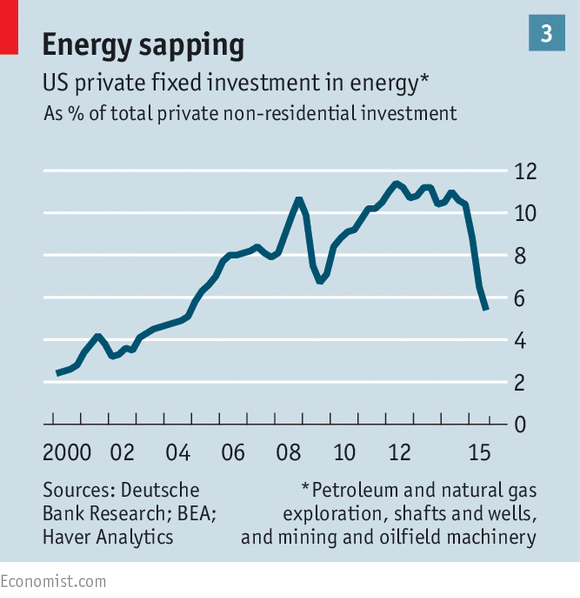 Should they reinvest their profits in shale or in greener technologies? Or should they return profits to shareholders, as some tobacco companies have done, marking the beginning of the end of the fossil-fuel era? Whatever they do, the era of oil shocks is far from over. NEW HAVEN – The prospect of an economic meltdown in China has been sending tremors through global financial markets at the start of 2016. Yet such fears are overblown. While turmoil in Chinese equity and currency markets should not be taken lightly, the country continues to make encouraging headway on structural adjustments in its real economy. This mismatch between progress in economic rebalancing and setbacks in financial reforms must ultimately be resolved as China now enters a critical phase in its transition to a new growth model. But it does not spell imminent crisis. Consistent with China’s long experience in central planning, it continues to excel at industrial reengineering. Trends in 2015 were a case in point: The 8.3% expansion in the services sector outstripped that of the once-dominant manufacturing and construction sectors, which together grew by just 6% last year. The so-called tertiary sector rose to 50.5% of Chinese GDP in 2015, well in excess of the 47% share targeted in 2011, when the 12th Five-Year Plan, was adopted, and fully ten percentage points larger than the 40.5% share of secondary-sector activities (manufacturing and construction). This significant shift in China’s economic structure is vitally important to the country’s consumer-led rebalancing strategy. Services development underpins urban employment opportunities, a key building block of personal income generation. With Chinese services requiring about 30% more jobs per unit of output than manufacturing and construction, combined, the tertiary sector’s relative strength has played an important role in limiting unemployment and preventing social instability – long China’s greatest fear. On the contrary, even in the face of decelerating GDP growth, urban job creation hit 11 million in 2015, above the government’s target of ten million and a slight increase from 10.7 million in 2014. The bad news is that China’s impressive headway on restructuring its real economy has been accompanied by significant setbacks for its financial agenda – namely, the bursting of an equity bubble, a poorly handled shift in currency policy, and an exodus of financial capital. These are hardly inconsequential developments – especially for a country that must eventually align its financial infrastructure with a market-based consumer society. In the end, China will never succeed if it does not bring its financial reforms into closer sync with its rebalancing strategy for the real economy. Capital-market reforms – especially the development of more robust equity and bond markets to augment a long dominant bank-centric system of credit intermediation – are critical to this objective. Yet in the aftermath of the stock-market bubble, the equity-funding alternative is all but dead for the foreseeable future. For that reason alone, China’s recent financial-sector setbacks are especially disappointing. But setbacks and crises are not the same thing. The good news is that China’s massive reservoir of foreign-exchange reserves provides it with an important buffer against a classic currency and liquidity crisis. To be sure, China’s reserves have fallen enormously – by $700 billion – in the last 19 months. Given China’s recent build-up of dollar-denominated liabilities, which the Bank for International Settlements currently places at around $1 trillion (for short- and long-term debt, combined), external vulnerability can hardly be ignored. But, at $3.3 trillion in December 2015, China’s reserves are still enough to cover more than four times its short-term external debt – well in excess of the widely accepted rule of thumb that a country should still be able to fund all of its short-term foreign liabilities in the event that it is unable to borrow in international markets. Of course, this cushion would effectively vanish in six years if foreign reserves were to continue falling at the same $500 billion annual rate recorded in 2015. This was precisely the greatest fear during the Asian financial crisis of the late 1990s, when China was widely expected to follow other so-called East Asian miracle economies that had run out of reserves in the midst of a contagious attack on their currencies. But if it didn’t happen then, it certainly won’t happen now: China’s foreign-exchange reserves today are 23 times higher than the $140 billion held in 1997-98. Moreover, China continues to run a large current-account surplus, in contrast to the outsize external deficits that proved so problematic for other Asian economies in the late 1990s. Still, fear persists that if capital flight were to intensify, China would ultimately be powerless to stop it. Nothing could be further from the truth. China’s institutional memory runs deep when it comes to crises and their consequences. That is especially the case concerning the experience of the late 1990s, when Chinese leaders saw firsthand how a run on reserves and a related currency collapse can wreak havoc on seemingly invincible economies. In fact, it was that realization, coupled with a steadfast fixation on stability, that prompted China to focus urgently on amassing the largest reservoir of foreign-exchange reserves in modern history. While the authorities have no desire to close the capital account after having taken several important steps to open it in recent years, they would most certainly rethink this position if capital flight were to become a more serious threat. Yes, China has stumbled in the recent implementation of many of its financial reforms. The equity-market fiasco is especially glaring in this regard, as was the failure to clarify official intentions regarding the August 2015 shift in exchange-rate policy. These missteps should not be taken lightly – especially in light of China’s high-profile commitment to market-based reforms. But they are a far cry from the crisis that many believe is now at hand. The Opec oil cartel has issued its strongest plea to date for a pact with Russia and rival producers to cut crude output and halt the collapse in prices, warning that the deepening investment slump is storing up serious trouble for the future. Abdullah al-Badri, Opec’s secretary-general, said the cartel is ready to embrace rivals and thrash out a compromise following the 72pc crash in prices since mid-2014. "Tough times requires tough choices. It is crucial that all major producers sit down and come up with a solution," he told a Chatham House conference in London. Mr al-Badri said the world needs an investment blitz of $10 trillion to replace depleting oil fields and to meet extra demand of 17m barrels per day (b/d) by 2040, yet projects are being shelved at an alarming rate. A study by IHS found that investment for the years from 2015 to 2020 has been slashed by $1.8 trillion, compared to what was planned in 2014. Mr al-Badri warned that the current glut is setting the stage for a future supply shock, with prices lurching from one extreme to another in a deranged market that is in the interests of nobody but speculators. "It is vital that the market addresses the stock overhang,” he said. Leonid Fedun, vice-president of Russia’s oil group Lukoil, said Opec policy had set off a stampede, comparing it to a “herd of animals rushing to escape a fire”. He called on the Kremlin to craft a political deal with the cartel to overcome the glut. “It is better to sell a barrel of oil at $50 than two barrels at $30,” he told Tass. This is a significant shift in thinking. It has long been argued that Russian companies cannot join forces with Opec since the Siberian weather makes it hard to switch output on and off, and because these listed firms are supposedly answerable to shareholders, not the Kremlin. Mr Fedun said Opec will be forced to cut output anyway. “This could happen in May or in the summer. After that we will see a rapid recovery,” he said. He accused the cartel of incompetence. “When Opec launched the price war, they expected US companies to go under very quickly. They discovered that 50pc of the US production was hedged,” he said. Mr Fedun said these contracts acted as a subsidy worth $150m a day for the industry though the course of 2015. “With this support shale producers were able to avoid collapse,” he said. The hedges are now expiring fast, and will cover just 11pc of output this year. Iraq’s premier, Haider al-Abadi, was overheard in Davos asking US oil experts exactly when the contracts would run out, a sign of how large this issue now looms in the mind of Opec leaders. Mr Fedun said 500 US shale companies face a “meat-grinder” over coming months, leaving two or three dozen “professionals”. Claudio Descalzi, head of Italy’s oil group Eni, said Opec has stopped playing the role of “regulator” for crude, leaving markets in the grip of financial forces trading “paper barrels” that outnumber actual barrels of oil by a ratio of 80:1. The paradox of the current slump is that global spare capacity is at wafer-thin levels of 2pc as Saudi Arabia pumps at will, leaving the market acutely vulnerable to any future supply-shock. “In the 1980s it was around 30pc; 10 years ago it was 8pc,” said Mr Descalzi. Barclays said the capitulation over recent weeks is much like the mood in early 1999, the last time leading analysts said the world was “drowning in oil”. It proved to be exact bottom of the cycle. Prices jumped 50pc over the next twenty days, the start of a 12-year bull market. Mr Norrish said excess output peaked in the last quarter of 2015 at 2.1m b/d. The over-supply will narrow to 1.2m b/d in the first quarter as of this year as a string of Opec and non-Opec reach “pain points”, despite the return of Iranian crude after the lifting of sanctions. By the end of this year there may be a “small deficit”. By then the world will need all of Opec’s 32m b/d supply to meet growing demand, although it will take a long time to whittle down record stocks. Mr Norrish said the oil market faces powerful headwinds. US shale has emerged as a swing producer and will crank up output “quite quickly” once prices rebound. Global climate accords have changed the rules of the game and electric vehicles are breaking onto the scene. Yet the underlying market is tighter than in 1999, when there was ample spare capacity, the geopolitical risks are much greater in a Middle East torn by a Sunni-Shia battle for dominance. Barclays said extreme positioning on the derivatives markets has prepared the ground for a short squeeze. “Unhedged short positions held by speculators are huge so there is certainly the potential for a steep move up in prices at some point,” it said. JP Morgan said the overhang of record short contracts could cause US crude prices to snap back toward $40 very quickly if sentiment shifts. 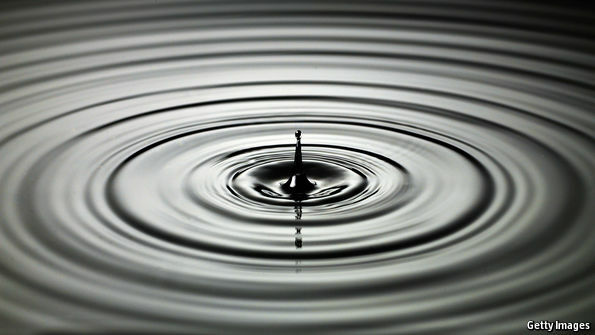 The mood is already turning: net inflows into ‘long oil’ exchange traded funds (EFTs) have been running at $500m a week in January. Saleh Al-Sada, Qatar's energy minister, told Chatham House that it is still too early to call the bottom of the market. "We will go through one more downturn cycle, but we will recover. Today's oil price is not sustainable whatsoever," he said. Mr Al-Sada warned that the gas industry will soon go through its own version of this trauma. Australia, Angola, and the US are all poised to flood the world with liquefied natural gas this year. Another domino teeters. PARIS – In 1930s Germany, Nazi Party leaders understood the power of mass communication to disseminate hatred and anti-Semitism. “Propaganda,” Hitler wrote, “is a truly terrible weapon in the hands of an expert.” In their rise to power, the Nazis deployed sophisticated modern communications technologies, including radio and film, to win the battle of ideas – and thus to shape public opinion and behavior – among a well-educated population in a fledgling democracy. The Nazis are gone but propaganda lives on, and its potential is deadlier than ever. As we commemorate the 71st anniversary of the liberation of Auschwitz-Birkenau on January 27, extremist groups around the globe wield new technologies to incite hatred and perpetrate new mass killings and genocides. That’s why UNESCO has decided to base this year’s International Day of Commemoration on the theme From Words to Genocide: Anti-Semitic Propaganda and the Holocaust. On this occasion, UNESCO and the United States Holocaust Memorial Museum (USHMM) are joining forces to present at UNESCO headquarters the exhibit State of Deception: The Power of Nazi Propaganda. During the early 1930s, a period of severe economic distress, many Germans were willing to overlook the Nazis’ anti-Semitism, because they were attracted to other aspects of the party’s message. The Nazis knew this: In the run-up to the 1932 election, the party relied on the emerging field of public opinion research to probe the needs, hopes, and fears of blue- and white-collar workers, the middle class, women, farmers, and youth. Accordingly, Nazi propagandists toned down anti-Semitic rhetoric and presented the party as the only political force capable of creating jobs and putting food on German tables. Likewise, they won over newly enfranchised women voters by portraying themselves as the defender of traditional German womanhood and the family. Hitler’s extreme nationalism resonated with many audiences, including young people who wanted to restore Germany’s lost territories and military might. But rabid anti-Semitism remained at the center of the Nazi worldview. As soon as the party came to power, in 1933, it began to implement anti-Jewish policies. The Nazis eliminated alternative sources of information, burning books and arresting journalists as they prepared to advance their goal of establishing a united “Aryan” Europe. In today’s interconnected world, individuals and non-state groups motivated by extremist ideologies can use the power of new technologies to shape attitudes and beliefs, and incite violence on a global scale. Since 2014, the Islamic State (ISIS) has disseminated more than 700 propaganda videos, tailored to various audiences, in all major languages, to maximize the reach and impact of its message. Nearly 50,000 Twitter accounts are propagating these vehicles of hatred, seeking to exploit ignorance, intolerance, and divisions within societies. Young people are being targeted for recruitment. Within the territories it controls, ISIS persecutes and kills individuals on religious and cultural grounds, with a recent USHMM report concluding that the group has committed acts of genocide against the Yazidi minority population under its control. Another worrisome trend is the increasingly sophisticated use of hate speech directed against minorities and migrants. Violent, exclusionary, and discriminatory rhetoric has returned to Europe – the land of the Holocaust. Extreme nationalists exploit the current refugee crisis, in a context of fear and deadly terrorist attacks, to gain large numbers of supporters. State of Deception shows us how propaganda can have deadly consequences. The Holocaust began with words, not mass killings We must remember how the poison of anti-Semitism and racism, projected through mass media, and through entire political, cultural and educational systems, led a continent into mass violence and genocide. Today, against the new propaganda of hatred, our challenge is to harness the power of new communication technologies to empower pluralism and human dignity for all, to combat all forms of anti-Semitism and Holocaust denial. This new war for hearts and minds can be won only if we update and upgrade the tools of education, culture, science, and communication. UNESCO was created 70 years ago for this purpose, and it leads a global program for Holocaust education and genocide prevention, working with governments and teachers to instill this history in classrooms. Bombs and bullets alone cannot defeat political poison. We must also win the battle of ideas. Schools, museums, and the media must foster media literacy to help young people develop critical-thinking skills. Intellectuals, artists, and public figures must highlight the danger of indifference toward groups espousing intolerance and exclusion. And political leaders should encourage social integration and mutual understanding.This is how we can pay tribute to the victims of the Holocaust – not only to lament the dead, but also to empower the living. In the old times of sailing ships, sailors paid careful attention to the weather to see if it was safe to set sail. Investors should be watching the economic climate with the same intensity to see if it is safe to invest in transportation stocks. And let me tell you, the economic climate for transportation stocks is quite ugly. Red Sky Morning #1: The Bureau of Transportation Statistics (BTS) reported that the total amount of freight volumes fell on a year-over-year basis. The total volume of freight moved by all types of transport—road, rail, pipeline, inland waterways, and as air cargo—dropped by 1.1% in the month of November (most recent statistics available), compared to the same year-ago period. Red Sky Morning #2: The Association of American Railroads reported that freight volume on US railroads fell by 2.5% in 2015. Example: When Union Pacific reported its quarterly results last week, they fell well short of Wall Street expectations. The pinstripe-suit crowd was expecting Union Pacific to deliver $1.42 of profits on $5.54 billion of revenue (a big drop from the $1.61 of profits on $6.15 billion of revenue it made last year), but the company couldn’t even deliver on those lowered expectations. Union Pacific reported earnings of $1.31 per share—11 cents below expectations—on $5.21 billion of revenue. The problem? Freight volumes fell 9% as shipments declined in five of the six major freight categories. The one positive category, automotive, was up by a measly 1%… nothing to write home about. This, by the way, is Union Pacific’s fourth quarter in a row of declining freight volume. Note: Just last week, my Rational Bear subscribers closed out their Union Pacific put options for a 94% to 150% return. If you, too, want to make handsome returns on bearish bets, give Rational Bear a risk-free try today. Red Sky Warning #3: Sales of Class 8 trucks— those with a gross weight over 33,000 pounds, commonly called semi-trucks—have fallen like a rock. In the month of November (most recent period available), a total of 16,600 Class 8 trucks were sold, well below the 22,000–25,000 expectation, a 59% year-over-year decline and a 36% drop from October. Red Sky Warning #4: Boeing slashes production of 747-8 by 50%! Boeing was producing one of these jumbo jets every month but announced it will reduce that to just one every two months… a 50% decline! According to Boeing, the decision to slash production was to “match near-term market demand” for the plane. “Global air passenger traffic growth and airplane demand remain strong, but the air cargo market recovery that began in late 2013 has stalled in recent months and slowed demand for the 747-8 Freighter,” said Ray Conner of Boeing. Red Sky Warning #5: The transportation woes have spread far beyond US borders. The Baltic Dry Index, which measures the price of moving raw materials by sea, hit a new all-time low. The Baltic Dry Index dropped to 373 points last week, the first time it has ever been below 400 and a staggering 22% drop in just the first 15 days of 2016. Conclusion: It doesn’t matter which part of the transportation food chain— ships, air, trucks, or rail—you’re looking at… they are all in trouble as evidenced by the Dow Jones Transportation Average. The Dow Jones Transportation Average closed below its August 24 close of 7,595 on December 11 and is already down more than 11% so far in 2016. Worse yet, it is down by almost 30% from its all-time high of 9,310 set on November 28, 2014. If those old-time sailors are right, all the transportation "red" you see when the stock market opens in the morning is a clear warning of very dangerous investing conditions. FOR a spell last year American banks seemed poised to reattain the sort of double-digit returns that have largely eluded them since the financial crisis. A robust market for takeovers and public offerings was producing a flurry of fees. Credit quality, which had collapsed in the crisis, was “pristine”, according to Jamie Dimon, the boss of JPMorgan Chase, America’s biggest bank by assets—something that was allowing banks to reduce the provisions they had made to cover soured loans. The rash of swingeing fines that had been disfiguring profits had largely dissipated (although Goldman Sachs recently agreed to pay $5 billion to settle charges that it knowingly peddled dodgy mortgage-backed securities). And then there was the Federal Reserve’s decision to raise interest rates in December for the first time in nearly a decade, which held out the prospect of a growing margin between the rates banks pay depositors and those they charge borrowers. Glimmers of that sunnier outlook can still be seen in the big American banks’ annual results. JPMorgan Chase reported a record annual profit on January 14th of $24 billion. Bank of America and Citigroup posted their biggest profits since 2006 (although the return on equity at both is a fraction of what it once was). Yet share prices in the banking sector have fallen by more than 20% since July, with half of the decline coming in the first weeks of 2016. In part, the poor performance of bank shares stems from the broader gloom in global markets. But investors have also noticed that the growth in banks’ profits comes more from falling costs than from rising revenue. Worse, the trends that propelled profits upwards in 2015 appear to be reversing. 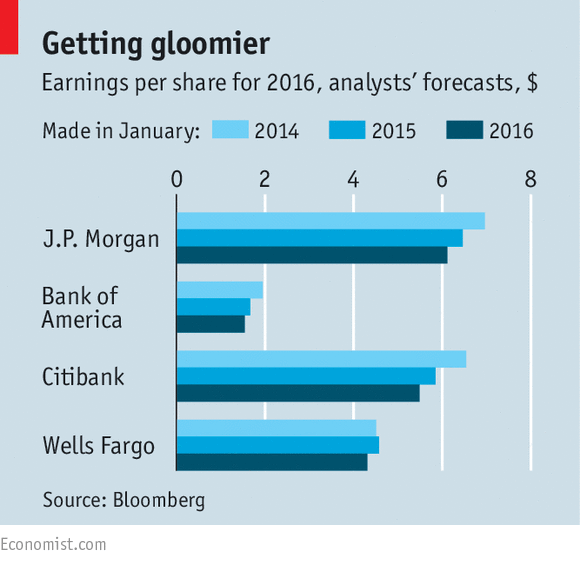 Analysts have cut their forecasts for profits in the coming year (see chart). The worsening outlook for the world economy has made markets much more sceptical that the Fed will continue raising rates. Whereas members of the Fed’s rate-setting committee predicted in December that rates would rise by a full percentage point this year, markets now expect an increase of only a quarter of a point. The prospect of higher lending margins, in other words, is evaporating. Yet December’s increase has curbed the hugely profitable business of refinancing mortgages. The volatility in markets, meanwhile, is causing takeovers and issuance of shares and debt to atrophy. There is supposed to be a bright side to the turmoil, since volatility typically boosts trading revenues. But many investment banks have curtailed their trading operations under regulatory pressure. That has left them ill placed to capitalise on the turmoil. Banks have been beefing up wealth-management arms even as they curb trading, in the hope they will provide steadier profits at less risk. But falling markets also harm these, since costs are fixed but revenues come in the form of a percentage of the shrinking value of assets under management. In addition, instead of reducing provisions, banks are now adding to them. The main culprit is the collapsing oil price, which is crushing energy firms. JPMorgan Chase, for example, set aside $124m in the final quarter of last year to cover any losses in its loans to energy firms. None of these problems is fatal. According to Goldman Sachs, Citi has the biggest exposure to energy firms among banking behemoths, at a modest 3.3% of its loan book. Recent years have been lean in part because banks have been building up their buffers rather than racking up big profits. Although many banks struggle to earn a decent return, the number that are failing or in trouble is near a record low, according to the Federal Deposit Insurance Corporation, a regulator. For investors, however, that is scant consolation. One of the keys to understanding Russia’s strategy is to look at its position relative to the rest of Europe. The European Peninsula is surrounded on three sides by the Baltic and North Seas, the Atlantic Ocean, and the Mediterranean and Black Seas. The easternmost limit of the peninsula extends from the eastern tip of the Baltic Sea south to the Black Sea. In the map above, this division is indicated by the line from St. Petersburg to Rostov-on-Don. This line also roughly defines the eastern boundaries of the Baltic states—Belarus and Ukraine. These countries are the eastern edge of the European Peninsula. Hardly any part of Europe is more than 400 miles from the sea, and most of Europe is less than 300 miles away. Much of Russia, on the other hand, is effectively landlocked. The Arctic Ocean is far away from Russia’s population centers, and the few ports that do exist are mostly unusable in the winter. Russia’s access to the world’s oceans, aside from the Arctic, is also limited. What access it does have is blocked by other countries, which can be seen through the map below. European Russia has three potential points from which to access global maritime trade. One is through the Black Sea and the Bosporus, a narrow waterway controlled by Turkey that can easily be closed to Russia. Another is from St. Petersburg, where ships can sail through Danish waters, but this passageway can also be easily blocked. The third is the long Artic Ocean route, starting from Murmansk and then extending through the gaps between Greenland, Iceland, and the United Kingdom. During the Cold War, air bases in Norway, Scotland, and Iceland, coupled with carrier battle groups, worked to deny Russia access to the sea. This demonstrates the vulnerability Russia faces due to its lack of access to oceans and waterways. It also reveals why Russia is, for all intents and purposes, a landlocked country. A country’s access to the sea can greatly influence its economic and political strength. Thucydides distinguished between Athens and Sparta by pointing out that Athens was close to the sea and had an excellent port, Piraeus. Sparta, on the other hand, was not a maritime power. Athens was much wealthier than Sparta. A maritime power can engage in international trade in a way that a landlocked power cannot. Therefore, the Athenian is wealthy, but in that wealth there are two defects. First, wealth creates luxury and luxury corrupts. Second, wider experience in the world creates moral ambiguity. Sparta enjoyed far less wealth than Athens. It was not built through trade but through hard labor. And thus, it did not know the world, but instead had a simple and robust sense of right and wrong. The struggle between strength from wealth and strength through effort has been a historical one. It can be seen in the distinction between the European Peninsula and Russia. Europe is worldly and derives great power from its wealth, but it is also prone to internecine infighting. Russia, though provincial, is more united than divided and derives power from the strength that comes from overcoming difficulty. We can see the Russian reality most clearly from the next three maps. Russia’s population clusters along its western border with Europe and its southern border with the Caucasus (the area between the Black Sea and Caspian Sea to the south). Siberia is lightly populated. Rivers and infrastructure flow west. The heartland of Russian agriculture is to the southwest. Northern Russia’s climate cannot sustain extensive agriculture, which makes the Russian frontier with Ukraine and the Russian frontier in the Caucasus and Central Asia vital. As with population, Russia’s west and south are its most vital and productive agricultural areas. The importance of the western and southern regions can also be seen in the country’s transportation structure. Rail transportation remains critical to Russia. Observe how it is oriented toward the west and the former Soviet republics. Again, the focus is the west and south—only two rail lines link European Russia to Russia’s Pacific maritime region, and most of Siberia is outside the range of transport. These three maps show a basic internal pattern for Russia. The primary focus and vulnerability of Russia is in the west… with a secondary interest in the Caucasus. Siberia looms large on a map, but most of it is minimally populated and of little value strategically. The first of the three maps above shows that the current western border of Russia coincides with the base of the European Peninsula. The other maps show that population, agriculture, and transportation are located along the western border (with a secondary cluster in the Caucasus). This area is the Russian core, and all other areas eastward in Asia represent the periphery. Russia is in a geographically vulnerable position; its core is inherently landlocked, and the choke points that its ships would have to traverse to gain access to oceans could be easily cut off. Therefore, Russia can’t be Athens. It must be Sparta, and that means it must be a land power and assume the cultural character of a Spartan nation. Russia must have tough if not sophisticated troops fighting ground wars. It must also be able to produce enough wealth to sustain its military as well as provide a reasonable standard of living for its people—but Russia will not be able to match Europe in this regard. So it isn’t prosperity that binds the country together, but a shared idealized vision of and loyalty toward Mother Russia. And in this sense, there is a deep chasm between both Europe and the United States (which use prosperity as a justification for loyalty) and Russia (for whom loyalty derives from the power of the state and the inherent definition of being Russian). This support for the Russian nation remains powerful, despite the existence of diverse ethnic groups throughout the country. As a land power, Russia is inherently vulnerable. It sits on the European plain with few natural barriers to stop an enemy coming from the west. East of the Carpathian Mountains, the plain pivots southward, and the door to Russia opens. In addition, Russia has few rivers, which makes internal transport difficult and further reduces economic efficiency. What agricultural output there is must be transported to markets, and that means the transport system must function well. And with so much of its economic activity located close to the border, and so few natural barriers, Russia is at risk. It should be no surprise then that Russia’s national strategy is to move its frontier as far west as possible. The first tier of countries on the European Peninsula’s eastern edge—the Baltics, Belarus, and Ukraine—provide depth from which Russia can protect itself, and also provide additional economic opportunities. Consider Russia’s position in 1914, just before World War I began. Russia had absorbed the first tier completely and some of the second tier countries, such as present-day Poland and Romania. Its control over the bulk of Poland was particularly significant. When Germany and the Austro-Hungarian Empire attacked Russia in 1914, the depth this buffer gave the Russians allowed them to resist without the fight extending into Russia itself until 1917. In 1941, when Germany again attacked Russia, its penetration was more extreme. This next map shows the extent of the advance. Germany held all of this territory at one point but not all at the same time. The Germans seized almost all of the European Peninsula and, in their final thrust, moved east and south into the Caucasus. Ultimately, Russia defeated Germany through depth and the toughness of its troops. The former exhausted the Germans, and the latter imposed a war of attrition that broke them. If the Russians didn’t have that strategic depth, they would have lost the war. Therefore, the Russian strategy at the close of World War II was to push its frontiers as far west as possible. This was the furthest Russia extended—and it ultimately broke the Soviet Union. Russia had seized the first tier of countries—the Baltics, Belarus, and Ukraine – and pushed westward seizing the second tier, as well as the eastern half of Germany. The ideal position of Russia posed an existential threat to the rest of Europe. The Europeans and the US had two advantages. They had a broad encirclement of Russia and could close its access to the sea when they wished. But more important, they created a maritime trading block that generated massive wealth compared to the Soviet alliance (dragged down as it was by landlocked Russia). The arms race that resulted was a minor strain on the West but created an insurmountable cost to Russia. When oil prices fell in the 1980s, the Russians could not sustain the decline of revenue. This crippled the Soviet Unión. Returning to the first map, the retreat of Russian forces back to the line separating the country from the European Peninsula was unprecedented. Since the 18th century, Russia controlled the first tier of the peninsula. After 1991, it lost control of both tiers. Russia’s border had not been that close to Moscow in a very long time. The West absorbed the Baltics into NATO, bringing St. Petersburg within a hundred miles of a NATO country. There was nothing that the Russians could do about that. Instead, they concentrated on stabilizing the situation—from their point of view, this involved fighting Chechen insurgents on their side of the frontier, intervening in Georgia, sending troops to Armenia, and so on. But as you can tell from these maps, the key country for Russia after 1991 was Ukraine. The Baltics were beyond reach for now, and Belarus had a pro-Russian government. But either way, Ukraine was the key, because the Ukrainian border went through the agricultural heartland of Russia, as well as large population centers and transportation networks. This was one of the reasons the Germans in World War II pushed to, and beyond, the Ukrainian border to reach Russia. With regard to the current battle over Ukraine, the Russians have to assume that the Euro-American interest in creating a pro-Western regime has a purpose beyond Ukraine. From the Russian point of view, not only have they lost a critical buffer zone, but Ukrainian forces hostile to Russia have moved toward the Russian border. It should be noted that the area that the Russians defend most heavily is the area just west of the Russian border, buying as much space as they can. The fact that this scenario leaves Russia in a precarious position means that the Russians are unlikely to leave the Ukrainian question where it is. Russia does not have the option of assuming that the West’s interest in the region comes from good intentions. At the same time, the West cannot assume that Russia—if it reclaims Ukraine—will stop there. Therefore, we are in the classic case where two forces assume the worst about each other. But Russia occupies the weaker position, having lost the first tier of the European Peninsula. It is struggling to maintain the physical integrity of the Motherland. Russia does not have the ability to project significant force because its naval force is bottled up and because you cannot support major forces from the air alone. Although it became involved in the Syrian conflict to demonstrate its military capabilities and gain leverage with the West, this operation is peripheral to Russia’s main interests. The primary issue is the western frontier and Ukraine. In the south, the focus is on the Caucasus. It is clear that Russia’s economy, based as it is on energy exports, is in serious trouble given the plummeting price of oil in the past year and a half. But Russia has always been in serious economic trouble. Its economy was catastrophic prior to World War II, but it won the war anyway… at a cost that few other countries could bear. Russia may be a landlocked and poor country, but it can nonetheless raise an army of loyal Spartans. Europe is wealthy and sophisticated, but its soldiers have complex souls. As for the Americans, they are far away and may choose not to get involved. This gives the Russians an opportunity. However bad their economy is at the moment, the simplicity of their geographic position in all respects gives them capabilities that can surprise their opponents and perhaps even make the Russians more dangerous. 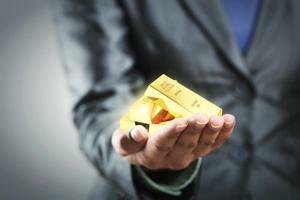 The global economy is increasingly showing signs of weakness and gold would be a safe haven. After the rate hike, the U.S. economy now must prove that Fed made the right decision at the right time. It doesn't look that way at the moment. Geopolitical instabilities across various crucial global economies are making international trade difficult and this is not good for economic growth. Not long ago, people appeared to have completely forgotten how precious gold is. This was awkward especially given the fact that from an investing perspective, it is clearly placed under precious metals category and the fact it is clearly in a long-term bull market since 1,999. However, everyone now appears to be getting back to their senses, thanks to a decent run of form in recent trading sessions, which have seen the price of the yellow metal rally to trade at around $1,100 an ounce. One major thing of note is that gold's recent resurgence in price has surprised many. This is worrying because after analyzing the markets over the past 12-18 months, the key drivers to the rally witnessed in the equities markets appeared to come in the form of investor optimism. There was no substance in it simply because the rest of the world, but the U.S., was struggling economically. It is normal for investors to overreact based on the promise of a better future, and that's what clearly happened over the last 18 months. And the U.S. Federal Reserve, though cautiously, it did play its part. The interest hike campaign ran for a good 2-year period if not more. Investors had been expecting it a year before the final round of the quantitative easing, though they clearly knew it was going to take some time before they see an increment. Nonetheless, that did not peg their optimism. They remained bullish in the market with the view that in a year or two, a rate hike would come and they would be the ones to celebrate, because income generating assets flourish in high yielding economies. 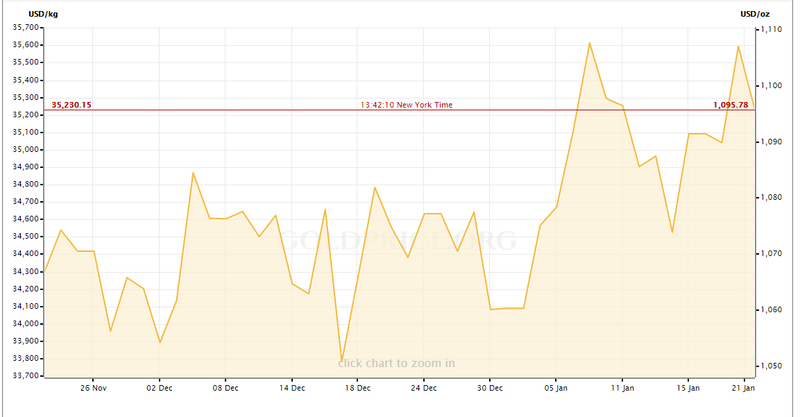 However, when the hike eventually came on December 16, 2015, nothing really changed according to market expectations. 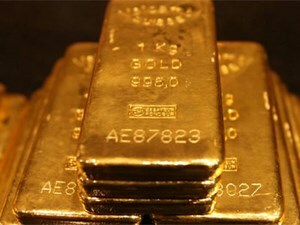 There was a jump in equity prices with the three major U.S. Indices gaining while gold remained pretty much unchanged. But then everyone would have expected that--a shaky post interest rate hike. Though no one really had any idea how long it would last. Unexpectedly, it was shorter than most people would have imagined. Since the beginning of the year, the markets have been most unpredictable. A lot of the downward movement has been attributed to the shaky Chinese economy, which has caused the Asian superpower's stock market to plunge. Then again, if your retrace a couple of months back, when investors were buoyed by the promise set by the U.S. economy, you would have thought that U.S. equities were completely isolated from the rest of the world-that they wouldn't fret to the global economic slowdown that has been taking place over the last two years. Or did we really ever recover from the global economic crises of 2008/2009? On paper, we are nowhere near the economic levels reached in 2007. Even the IMF does not seem so certain that the economy can meet prior projections. So I guess we are all on a recovery trail. Some have managed to pick up pace early, like the U.S. while others are taking baby steps, like the Euro Zone--they keep on falling at every obstacle they come across on the way. Or are we forgetting what happened to Cyprus, Greece etc.? Even France, Italy and Germany have had problems of their own to content. Let's face it, we want to believe that the global economy is on course to recover fully in the near future, but this could be a perilous assumption that could set investors towards a path that only the gold bulls would be happy to witness. Gold thrives when economies are struggling. The evidence to this statement can be pulled from the historical charts of the yellow metal dating back to a hundred years. The most recent occurrence of such a scenario came in 2011 when the price of gold traded at an all-time high of about $1,950. As at the time of this writing, the price of gold was just hovering below the $1,090 mark. Given the recent highs, it would be ideal to say that it remains within a touching distance of the $1,100 mark. Now, with gold finally showing its true color, institutional investors will be ready to pounce, as will some individual investors. They will be doing this to hedge their investments in the risky credit markets. Investing in gold now can be done by everyone. It is no longer a reserve of the rich. Platforms like Bitgold are making it possible for retail investors like you and me to take the opportunity and hedge against potential losses in the balance sheet of the Federal Reserve over the last five years. Gold has for thousands of years been the world's preferred and proven store of value. This is not going to change any time soon. For a moment, it looked as if investors were convinced the yellow metal's better days were over. 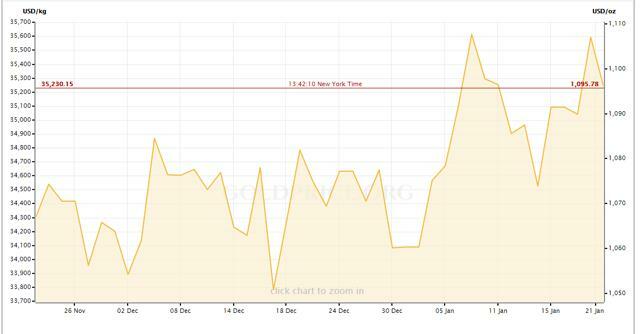 In fact, there was strong belief that the price of gold was destined to trade at below the $1,000 mark this year. Doing Some technical analysis on the charts now looks to have changed, with reports indicating a possible rally back to the $1,200 mark. There are genuine factors that could drive the price of gold even beyond these levels in the next few quarters. Firstly, we can all admit that the global economy is far from full recovery. In fact, analysts are already predicting another recession if governments and markets do not take the right steps to avoid another crisis in the next couple of years. Secondly, the U.S. economy along with the USD, which appeared to play a major role towards the decline of the price of gold in the last 12-18 months must proof to the market that the economic recovery was real and not just a mirage that kept on piling optimism amongst equity investors. We are dealing with a collapse in confidence in the public sector. Every day is more clear that QE has failed to improve the economy even with interest rates at zero, so what bullets are left? Is this time around a problem on the public sector? Third, it would be unwise to ignore the fact that geopolitical instabilities in the Middle East and many parts of the world are creating trade difficulties between economies. This is going to cause further slowdowns in global economic growth thereby increasing uncertainties in equity investing. The problem with this would be the inability to even try to reduce deficit spending, making the debt problem situation worst. As such, investors will have to continue reducing their positions in equities while adding to safer investment vehicles like gold bullion and government securities. In summary, gold is still the best store of value. The USD has certainly proved to be a capable alternative over the last few years, but when we take a bigger timescale, the yellow metal trumps the green buck. Investors are finally realizing this again after a period where they showed tepid interest in gold investments. The yellow metal will always provide a safe haven for investors to run to when they are in trouble.